India's cash crunch is taking its toll on the health of companies and risks inflicting further financial damage, after the credit profile of local firms deteriorated at the fastest pace in six years. There were two issuer rating downgrades for every upgrade in the first three months of 2019, the worst ratio for any first quarter since at least 2013, according to a Bloomberg News review of moves by three of the nation’s biggest credit raters: Care Ratings, ICRA and India Ratings & Research. Lower ratings force borrowers to pay more for money in debt markets. The Reserve Bank of India on Thursday cut interest rates for a second time this year, citing economic headwinds. Policy makers have struggled to guide financing costs lower for companies. Creditors remain wary after the collapse last year of non-bank lender Infrastructure Leasing & Financial Services Ltd. added to bad loan problems. That's a challenge for Prime Minister Narendra Modi who is trying to get the economy back on steadier footing as national elections kick off this week. In one sign that the problem has lingered, Care Ratings Ltd downgraded more companies than it upgraded for the first time in six years in the 12-month period through March 31. The worsening "can largely be attributed to the liquidity crunch and decline in operating profits," Care said in a report. As the central bank tries to get more money flowing through the financial system, it has embarked on its most aggressive monetary policy easing in more than three years. On Thursday it said it will set up a task force to explore the development of the secondary market for corporate loans. The RBI also injected additional funds into the banking system last month to boost liquidity through a rare currency swap. 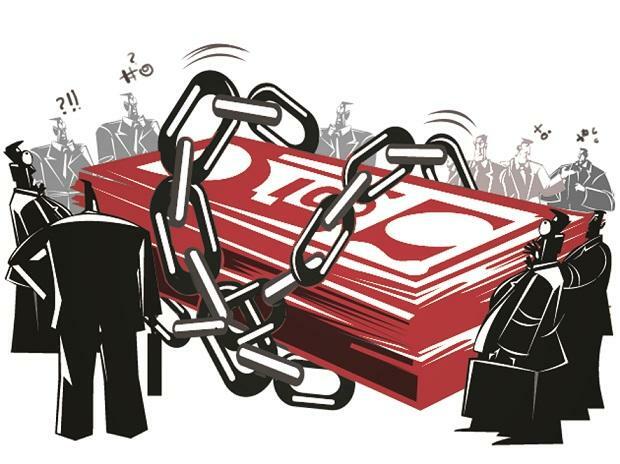 "The cash crunch is a concern for regulators too, who are trying to step up liquidity," according to Rajesh Mokashi, managing director at Care Ratings.